top 10 free android games: The android phones experienced a major change in the android market by launching some of the most loved games. These games are more loved in android than ios. These games can even be played in the offline mode but the update or the challenges to be played are online and even connected by wifi or bluetooth. Â We don’t know why but here are some of the most loved games. Asphalt 8 is the newer version of the Asphalt series which is recently added to theÂ Asphalt family. Developed by the most renowned company Gameloft, theÂ Asphalt 8 has been tremendously changed by adding new cars andÂ Â new exotic locations to visit.Â While the multiplayer / online experience is one of Asphalt 8,Â noÂ one stops you from enjoying this highly-appreciated arcade racing game even played offline. 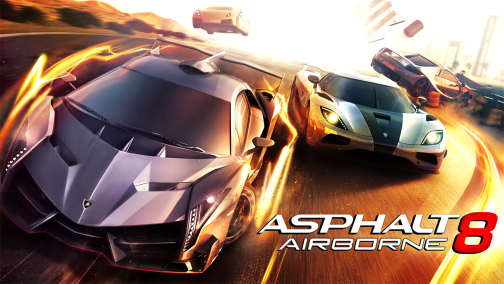 The gameÂ Asphalt 8 Airborne mixes racing with aerial stunts in a way that no other game can. 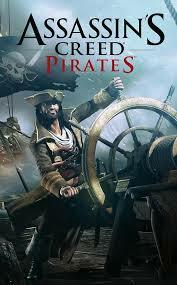 Assassin’s Creed Pirates is also among the top downloaded game in the Android market.Â Stunning graphics provided by the android developers, excellent music, and a great gameplay are some of the qualities which make Assassin’s Creed Pirates an action game that you have to try. You’ll get to explore the Caribbean Sea, build up your ship and crew, and participate in merciless naval battles. With this game you can experience theÂ feared pirates of the Caribbean in this exclusive Assassin’s Creed adventure! You canÂ play as Alonzo Batilla, a young and ambitious captain, break all the rules, challenge empires and make your own fortune! Choose from a wide range of weapons to destroy your foes and manoeuver to dodge enemy shots. Recruit the finest crew members and learn more than 50 new pirating techniques to become a better captain and the true master of naval combat. Pixar’s ever-so-cute Cars characters Â are waiting for you to show off your racing skills in this highly customizable game. There are 20 cars to choose from, all in pretty 3D.Â Lightning McQueen and Mater are hosting a Radiator Springs car racing EXTRAVAGANZA, and they need some speed!Â Race fast and free as Cars characters with nitro-charged arcade racing! Then build your own 3D Radiator Springs, home of Lightning and his buddies. Watch it go from a humble town to a thriving city! Â Â Â Drive into a true Cars experience, capturing the fun personality of the characters that kids and fans have come to love, including Mater, Francesco, and more! Â From the legendary Lightning McQueen to the exuberant Francesco Bernoulli, race as 20 Cars characters that you can upgrade and customize with quirky paint jobs! 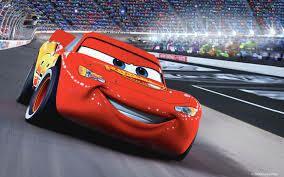 Race as the Radiator Springs Cars, Tuner Cars, Spy Cars, or International Racers! Â A completely customizable racing game! From Rocky Loops to Roller Coasters, build a 3D track to perform fun stunts! Â Hit the nitro and GO! Play against friends and drive your best to beat their track times in a weekly tournament free-for-all! Developed by Gameloft the game consists of Minions, bananas, power-ups, hilarious moments, a Fluffy Unicorn, and many other things – all are included in Despicable Me: an endless runner that both kids, and adults usually end up loving. 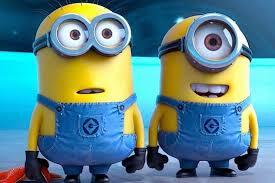 A man who delights in all things wicked, supervillain Gru (Steve Carell) hatches a plan to steal the moon. Surrounded by an army of little yellow minions and his impenetrable arsenal of weapons and war machines, Gru makes ready to vanquish all who stand in his way. But nothing in his calculations and groundwork has prepared him for his greatest challenge: three adorable orphan girls (Miranda Cosgrove, Dana Gaier, Elsie Fisher) who want to make him their dad. 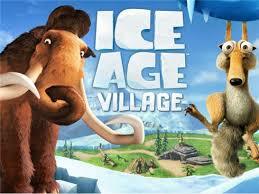 The official Ice Age app is here! Scratâ€™s hunt for his favorite acorn has opened a crack in the Earthâ€™s crust, sending the animals scurrying for safety. Manny, Ellie, Diego and Sid decide to build a new village for their displaced friends. Help them in this heroic challenge and get ready for fun and surprises along the way! Well, ok, there may be folks who don’t, but if you’re not one of them, Puzzle Retreat is a game that you’ll probably enjoy a lot. There are tens of block-sliding puzzles to be solved – for fee – and if you ever find yourself stuck, the game always lets you choose other puzzles to deal with.Â Escape to the Puzzle Retreat and immerse yourself in this unique block-sliding puzzle game from the creators of the smash-hit Train Conductor series. 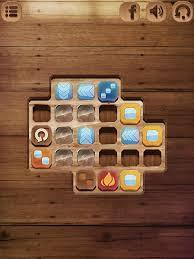 Additional puzzles can be purchased inside the app.